The Fruit & Vegetable Prescription Program (FVRx) connects federally qualified health clinics and their patients who suffer from diet-related illnesses such as obesity, diabetes, and hypertension with "prescriptions" or incentives that are used to purchase fresh fruits and vegetables at their local farmers' markets. The FVRx program has run from 2012-14 in Espanola in partnership with El Centro Family Health and Wholesome Wave Foundation. The FVRx program was designed to change behaviors related to healthy eating while tracking health data in the clinic setting. 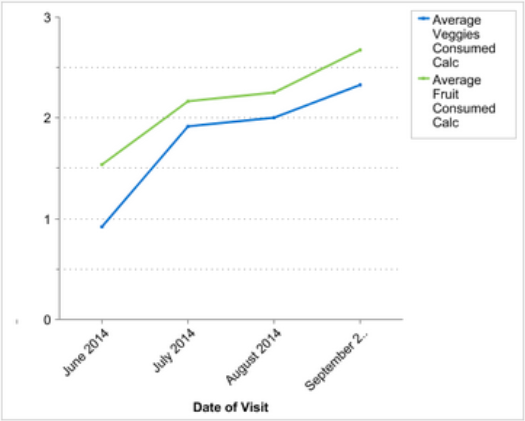 In Espanola during 2014, two positive health outcomes had been tracked. In 2014, NMFMA has also developed a modified version of the program called FreshRx that is funded in partnership with Presbyterian Healthcare in Albuquerque. A modified version has also been conducted by El Centro Family Health in Las Vegas and by Presbyterian Medical Services in Socorro. If you are a patient that suffers from diet-related illnesses, ask your clinic if they offer the program. If you are a clinic employee or community health worker, contact us to discuss your interest and to discuss potential partnerships if and when grant funding becomes available in your area. If you are a funder, contact us to fund a Fresh Rx program at a health clinic in your community! 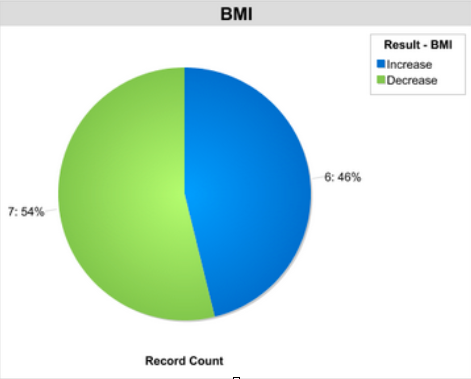 54% of the patients decreased their BMI during the course of the 4-month program.